My life’s gotten better since I stopped worrying about these 4 things at work 5 steps to outshine your competition in a job interview This is exactly how long your subject line should be if you want to get a response How playing sports can help you get ahead in your career That bad restaurant review you read on Yelp may have been influenced by this odd thing 3 key things to ace the interview according to an expert This iconic (and tiny) fashion trend will be all over your office this summer Emotional intelligence: what is it and how can you improve yours? 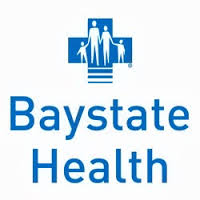 Baystate Health is seeking a Emergency Medicine Physician with a passion for community medicine to join our team. This position is based primarily at Baystate Wing Hospital in Palmer MA, with occasional shifts at nearby Baystate Mary Lane ED in Ware MA. Close integration with Baystate Medical Center means our patients and providers have a vast team of academic generalists and specialists at their fingertips. We offer an amazing, diverse culture that provides outstanding opportunities for physicians and advanced practice providers tostart or advance their career. • Practice in a tight-knit community hospital setting in a beautiful region of western Massachusetts. • Strong clinical and financial support from Baystate Medical Center / UMass Medical Schooljust 20 minutes away. BMC is the regions' only level 1 trauma center and offers excellent specialty support. Strong central leadership provides excellent support and resources for our community teams. 4-hospital, 5 emergency departments collectively handle 208,000 visits annually. • Collegial and supportive team of EM physicians, advanced practitioners and staff who highly value a team-based environment. APs run our fast track. • Baystate Wing Hospital is opening its completely renovated ED in September 2018. New construction will expand the ED to 24 bays, allowing us to manage 32,000+ visits. • Occasional coverage at Baystate Mary Lane ED, 15 minutes away. BML sees 16,000 patient visits annually. Qualified applicants will be BC/BE in emergency medicine with a strong commitment tocommunity medicine and outstanding evidence-based patient care.